Mars shines brightly now in planet Earth’s sky. 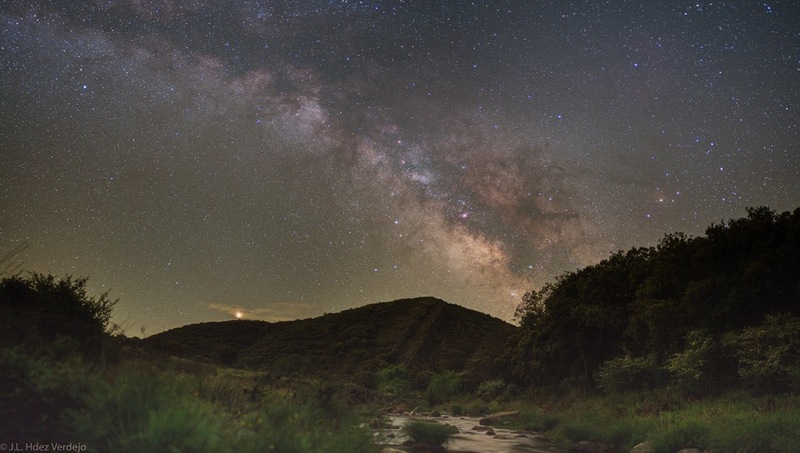 Seen with a yellowish hue it rises over the hills and far away in this serene night skyscape, a countryside panorama recorded last month from Parque Nacional de Cabaneros in Spain. The Milky Way too extends above the distant hills into a starry sky. Its faint pinkish nebulae, cosmic rifts and rivers of dust are mingled with the pale, diffuse glow of starlight. Mimicking Mars’ yellow tint, bright star Antares shines to the right of the central Milky Way starclouds. Of course, CubeSats from Earth are on their way to the Red Planet. Posted on Saturday, 9 June 2018 by VGC	This entry was posted in ifttt-photograph and tagged IFTTT, NASA. Bookmark the permalink.